Today is another weekly faves post on my fave products for my face! I use a variety of things to keep my face looking lovely, but first I'll tell you about my makeup products that I use and recommend. 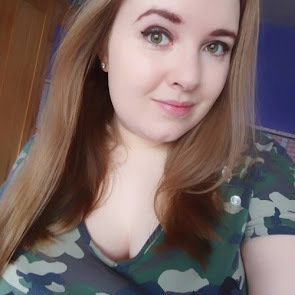 I don't use foundation unless I am going for a night out, so saving that for another post! So here goes with my powders. 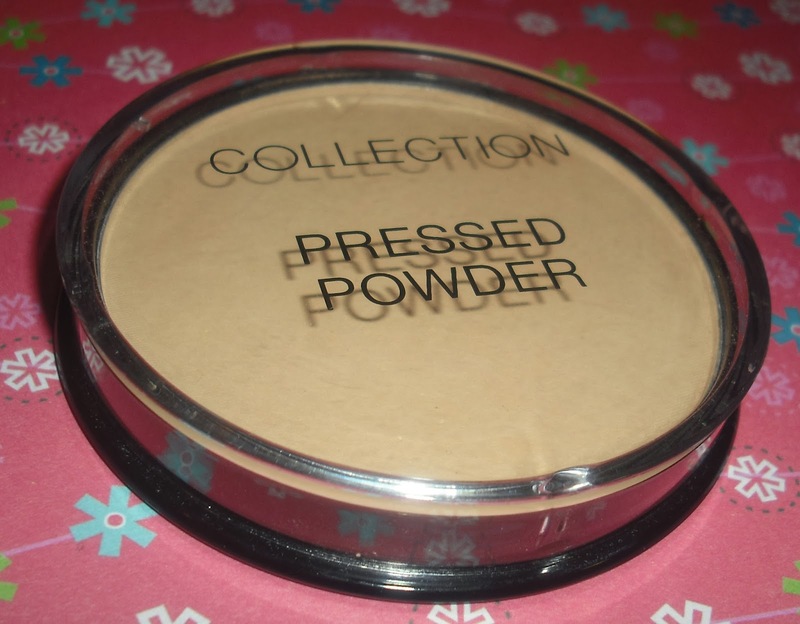 I've been using Collection 2000's pressed powder for years now as it has the perfect texture and unlike some powders that I've used, it doesn't have a weird smell. It is slightly darker than my skin tone as this is in 03 Translucent. I wear this everyday otherwise I tend to have a pretty shiny face. It is also a fairly cheap product so I can buy two at a time to keep me going for longer! The only thing I find annoying with this is that the lid keeps coming off and, when you are as clumsy as me and drop it a lot, that doesn't bode well for the carpet! 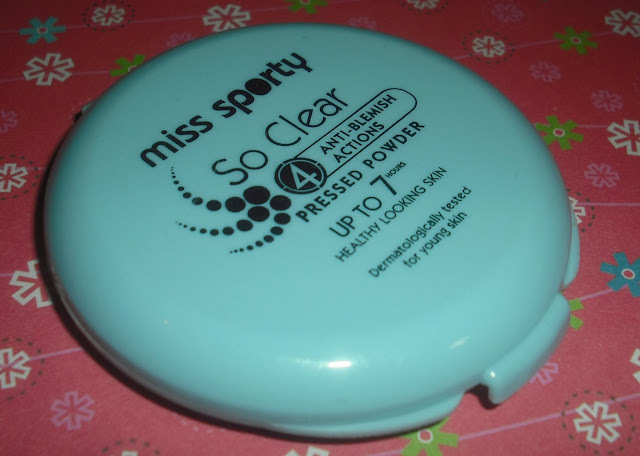 Miss Sporty's So Clear pressed powder is one of the first powders I ever used and it is still one of my faves even now. This matches my skin tone a little more, but I use this as more of a powdery concealer now rather than what it is meant for. As it matches my skin tone, I use this for under my eyes and to hide and spots that may occur, but sometimes I use this all over my face just so my makeup looks a little fresher. 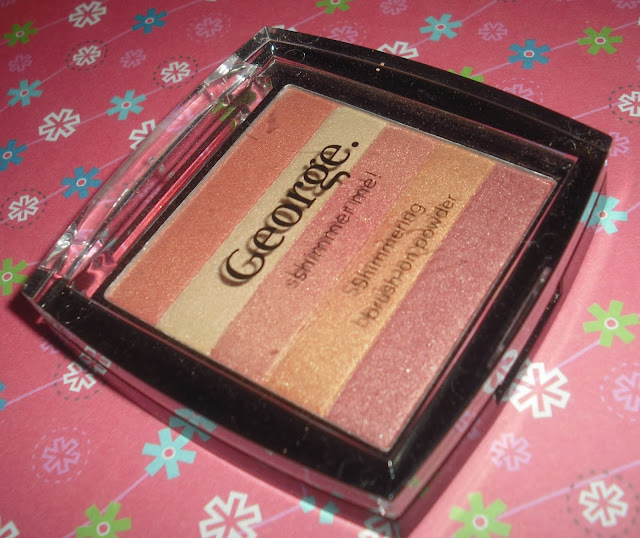 A recent find was this George Shimmer Me Powder from Asda, which I was given as an Easter gift but have only recently began to use it. You can sweep your brush over all five shades to get a nice shimmery bronzed glow, or use each colour individually for your eyelids, and the lighter colour is recommended for use under your brow bone. 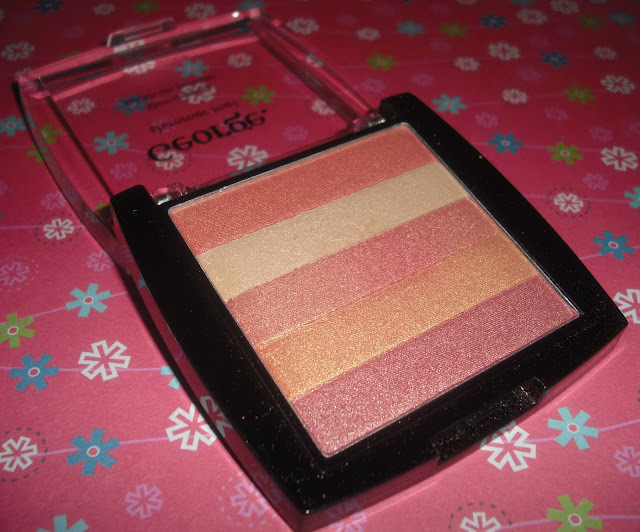 I've found this a pretty handy product for when I am on the go, as I don't have to take many eye shadows or blushers with me as it is all compacted into one handy little package! To keep my skin clean and moisturized, I have used Clean & Clear and Nivea products since I was about 13 years old. I start off with cleansing my face with the Clean & Clear lotion with the aid of some cotton pads, and it has a nice smell to it and it is nice and cooling for your face too. This has really worked for me as I rarely have had any spot breakout since using this eight years ago. 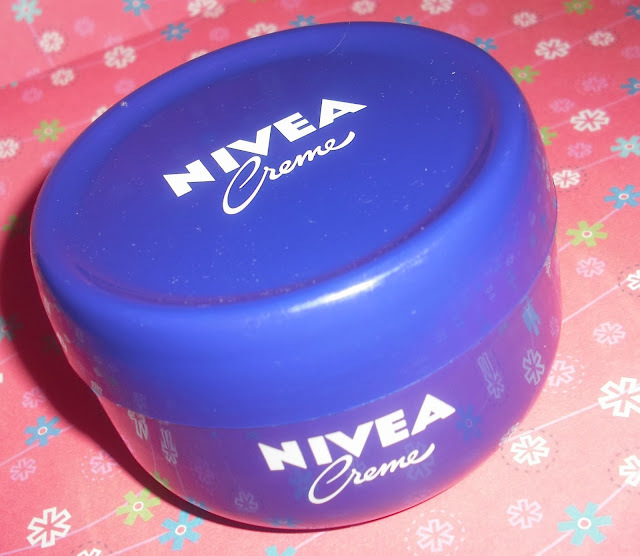 My moisturizer is the simple Nivea Creme, which is in a large 200ml pot. This can last me for up to 15 months at a time because I never have to use a lot of it to get my skin to feel good. 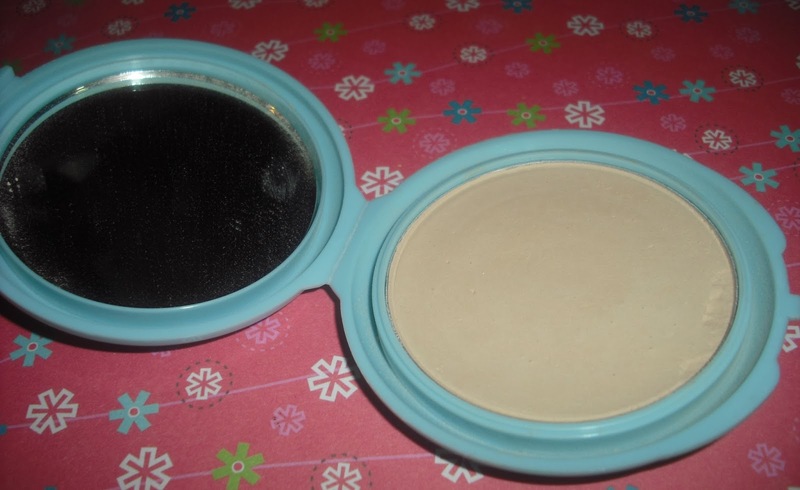 Even after being used all that time, it never changes texture or smell, so it is a pretty good product to invest in. 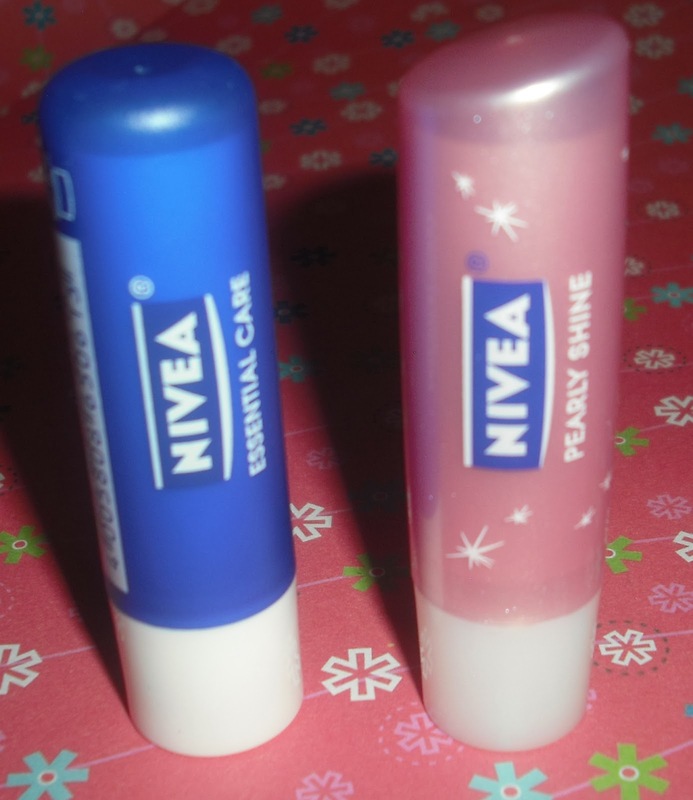 My last three faves are Nivea's Essential Care and Pearly Shine lip balms, and T-Zone's Spot Zapping Stick. The Nivea lip balms are a new discovery of mine. I've never taken care of my lips really, so they are often cracked or dry, but these two products keep them both hydrated and shiny, so now my lips look amazing! I don't know how I've been so ignorant of their existence, but now I take them everywhere with me to use throughout the day. The T-Zone Spot Zapping Stick has been a product I have used for maybe four years, though I don't use it very often due to not having as many breakouts as some people. It works pretty effectively and I've noticed that within a day, the spot is visibly reduced and almost gone, though you do have to apply it a few times in the day to get this result. I found it by chance in a supermarket one day and have used it ever since! So there are some of my beauty faves for my face to keep me looking the best I can! Any favourites of your own that you could recommend to me? Let me know in the comments below. Hope you are all having a great week, and stay safe. Nivea cream is an absolute retro skin essential...cant go wrong with this cream.....inexpensive and works!! my mum always swore by it!! nivea pearly lib balm will always be in my handbag!